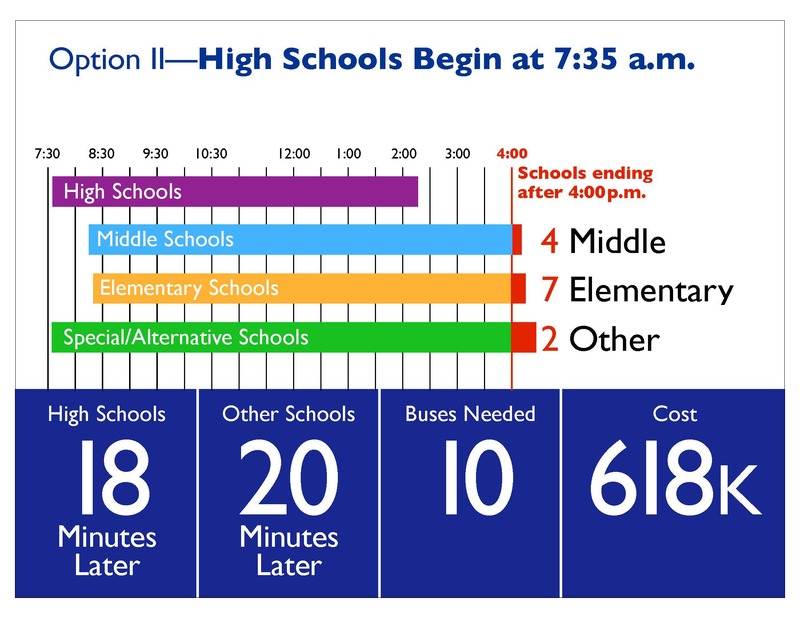 Option II moves high school start times 18 minutes later to 7:35 AM and moves all elementary, middle, and special/alternative school start times 20 minutes later. This option would require an additional 10 buses to accommodate the high school trips currently using available non-public buses.�These buses would not be available with the later high school start time. Using the projected 2018 annual cost per bus of $61,806, the total cost of this option would be $618,060 to resolve the non-public transportation requirements.